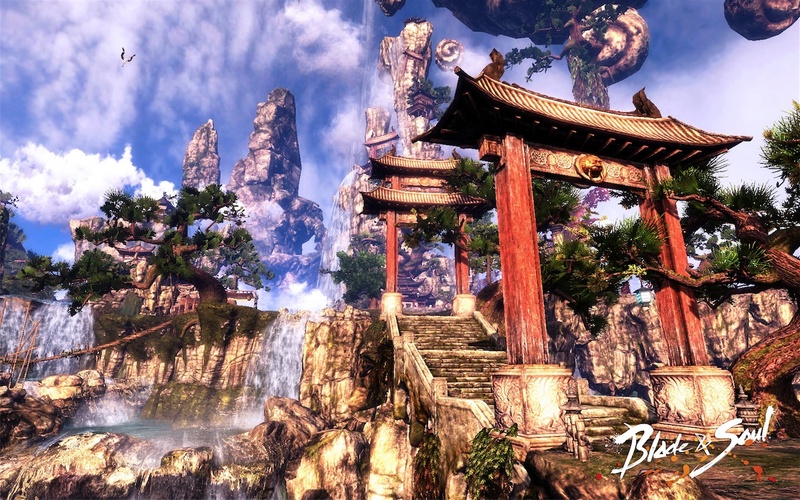 Blade & Soul is officially headed to the West. 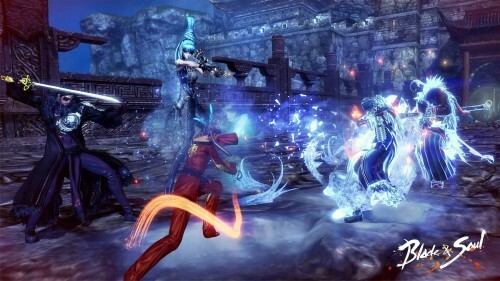 NCsoft has reveal that its bombastic Eastern martial arts fantasy MMORPG Blade & Soul is finally headed to the West. 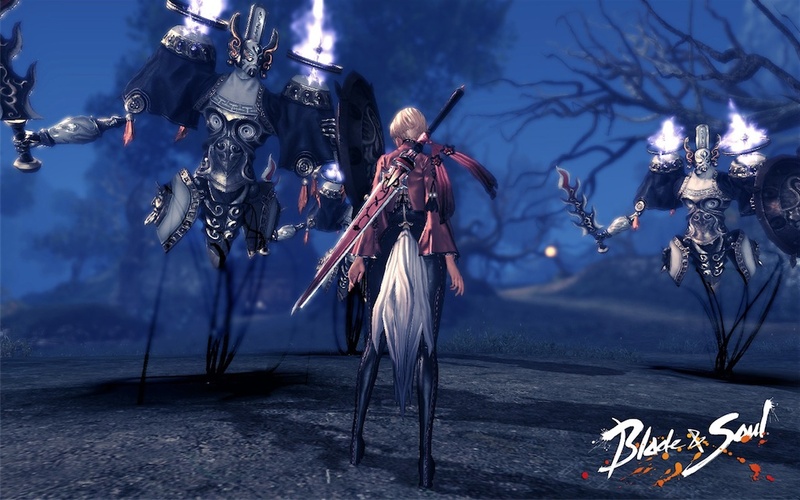 Developed by an internal NCsofts studio called Team Bloodlust, Blade & Soul was revealed in the wake of Aion‘s release in South Korea way back in 2008. Its unique visual style – utilizing character designs by Hyung-Tae Kim – as well as its high-flying, action-heavy combat, made Blade & Soul‘s debut trailer one to remember. Blade & Soul was finally released in South Korea at the end of June this year, and is currently boasting over 200,000 concurrent players. 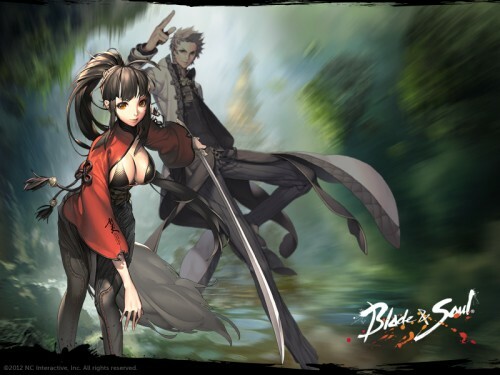 If you haven’t followed Blade & Soul at all, here are the basics. There are four humanoid races to choose from before you start the game – the ordinary Jin, the massive, hulking Gon, the diminutive, child-like Lyn, and the lithe, female-only Kun. There are six combat classes you can chose from – the versatile Blade Master, the hand-to-hand Kung-Fu Master, the tank-like, heavy-hitting Destroyer, the spell-spamming Force Master, the quick and sneaky Assassin, and the cutesy cat-summoning Summoner. In Korea, some classes are limited to specific races – Summoner is exclusive to the Lyn race, for example. A Gon Destroyer stands in the ethereal Hongmoon Village. Once you chose your race and class, you can dive into the story. You are a member of the Hongmoon clan, training in a hidden village under the guidance of the sage Lyn martial arts master Hong Suk Geun. Jin Seoyeon, a former student of your master, comes back to the village to wreak havoc, wounding you and murdering your fellow clansman and your master. And so you find yourself on a quest for revenge against her. 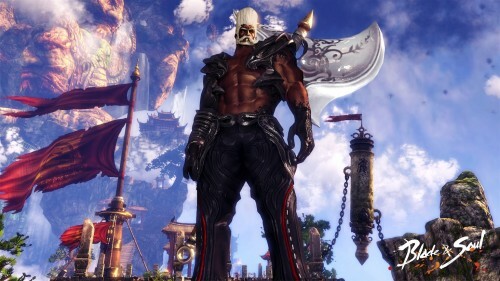 As mentioned, Blade & Soul is very action-heavy. Combat is very fast paced, and players have great control over not only their own defense and evasion, but over their opponents as well. Parries, counterattacks, juggles, launchers, grabs – Blade & Soul incorporates these combat elements into fighting to create an exciting hybrid action game. Toss in amazing, Crouching Tiger, Hidden Dragon styled Qing Gong movement, where you can literally defy gravity and super-jump, wall-run and soar across the landscape, and you have some fantastic gameplay to look forward to. At the moment, Blade & Soul is still pending a rating. The game does have a fair amount of blood to it, and some of the outfits are plenty suggestive. While I’d personally love to see an M rating with all of the content left as-is, the debut trailer (seen below) already shows signs of censorship. The Gunner MacBoobs NPC (I don’t know her actual name) who shows up a minute and 12 seconds into the trailer, is wearing a modified bodysuit underneath her skimpy bra, hiding her glorious underboob. She has no such bodysuit in the Korean release. The reasoning for this censorship is unclear, but one can only hope the localization team isn’t too heavy-handed with these cover-ups. If they edit the assless-chaps costume, I shall be most displeased. 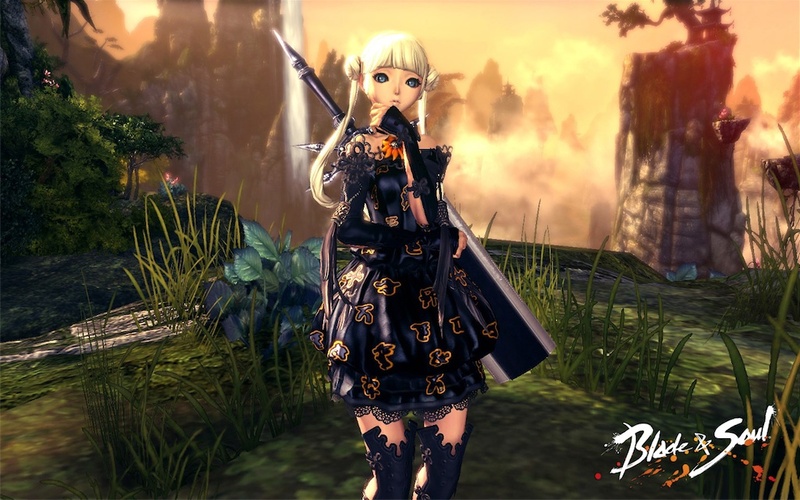 There is no current release date for the North American or European releases of Blade & Soul. Visit the official Blade & Soul website for FAQs, media and more.